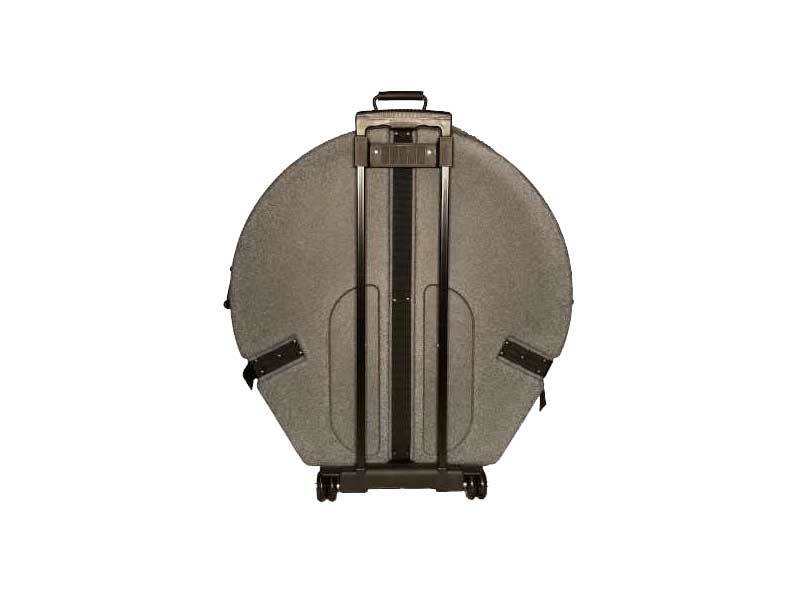 The Humes & Berg Enduro Lead Steelpan Case with Wheels protects your beautiful instruments with a virtually indestructible exterior and a soft, padded interior. Plus, it has wheels! 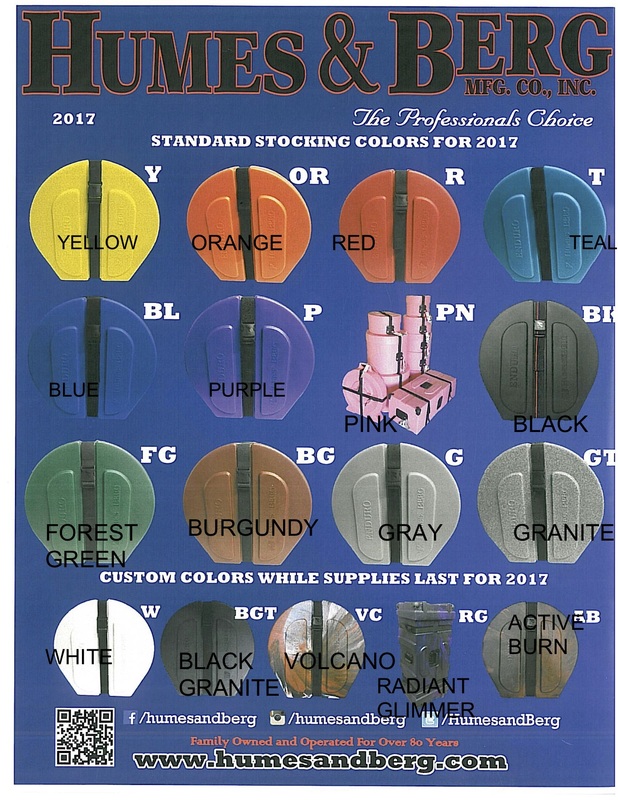 What other color would you like? Customers looking for professional level protection need look no further. The Humes & Berg Enduro Lead Steelpan Case with Wheels protects your beautiful instruments with a virtually indestructible exterior and a soft, padded interior. 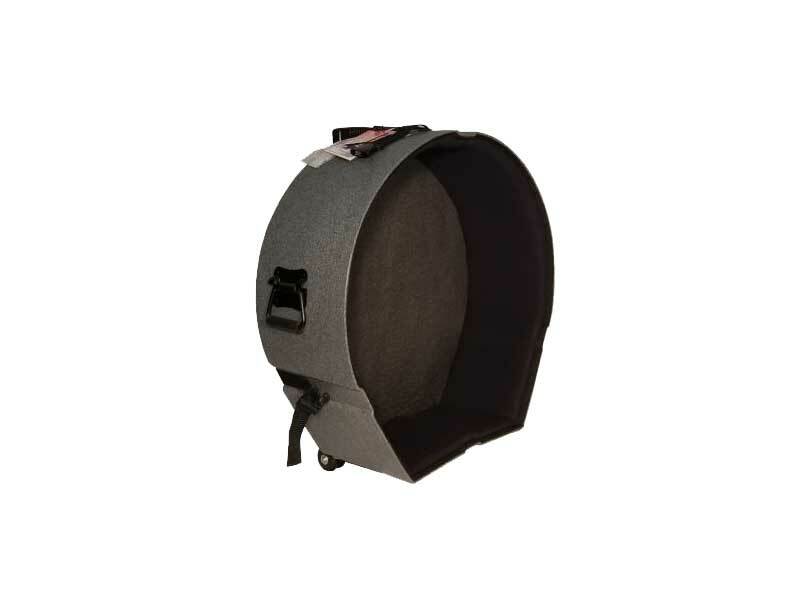 Furthermore, sturdy nylon buckles hold the lid on tight, heavy-duty handles make lifting your pans as easy as possible, and your back will thank you for the Tilt-n-Pull option featuring attached wheels and an extendable handle makes moving around way easier. Rubber stops on the bottom allow you to safely place it on the ground without it rolling away. With all these great features, it’s easy to see why this is the most popular hard case for the steelpan. 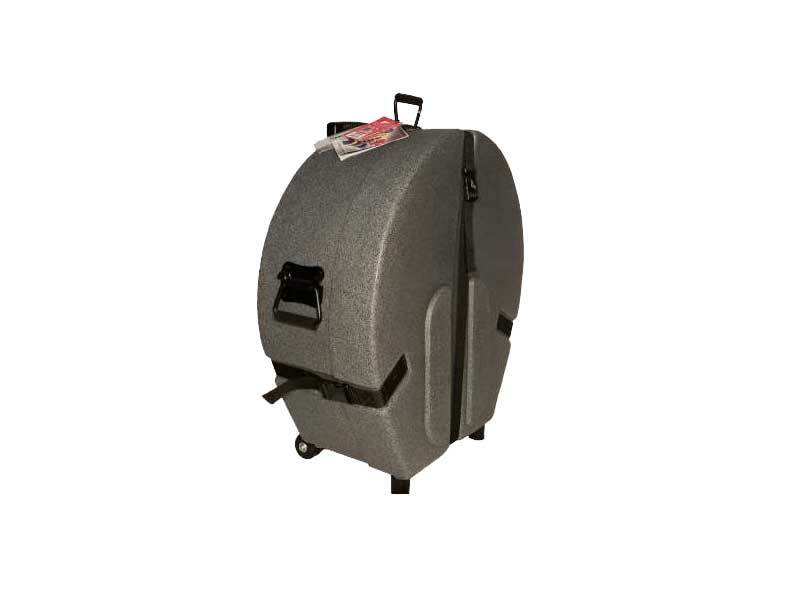 Available in many sizes, you can order your Humes & Berg Enduro pan case to suit your needs. 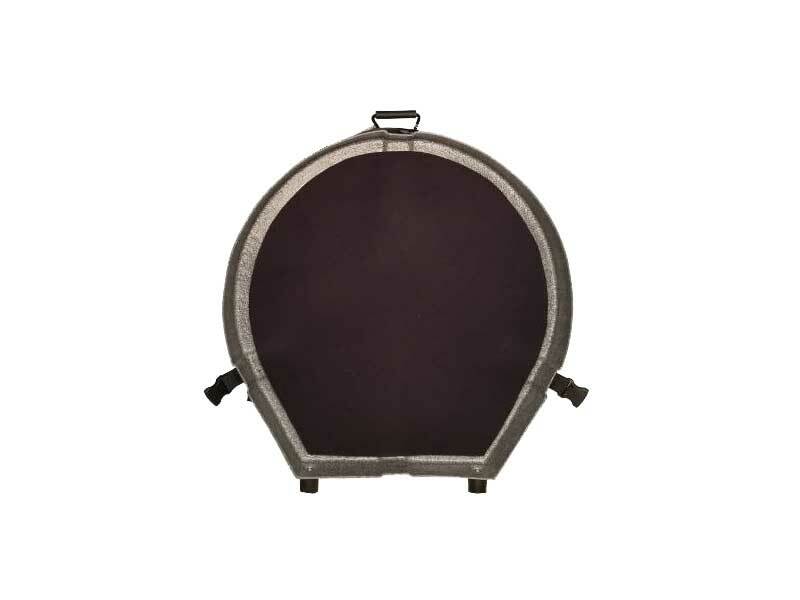 This case is 8″ deep and is perfect for lead/soprano/tenor pans. 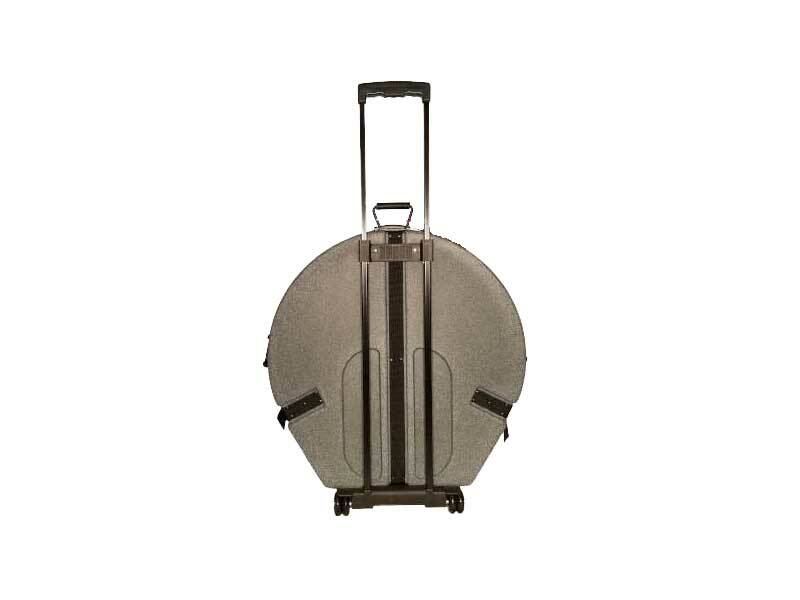 This lead steelpan case with wheels is designed for a 22.5″ diameter pan. If you have an oversized instrument, please contact us about custom cases. You can also check out the different color options and choose “other” as your color. We will e-mail you to discuss the options and any additional upcharge for that particular color.